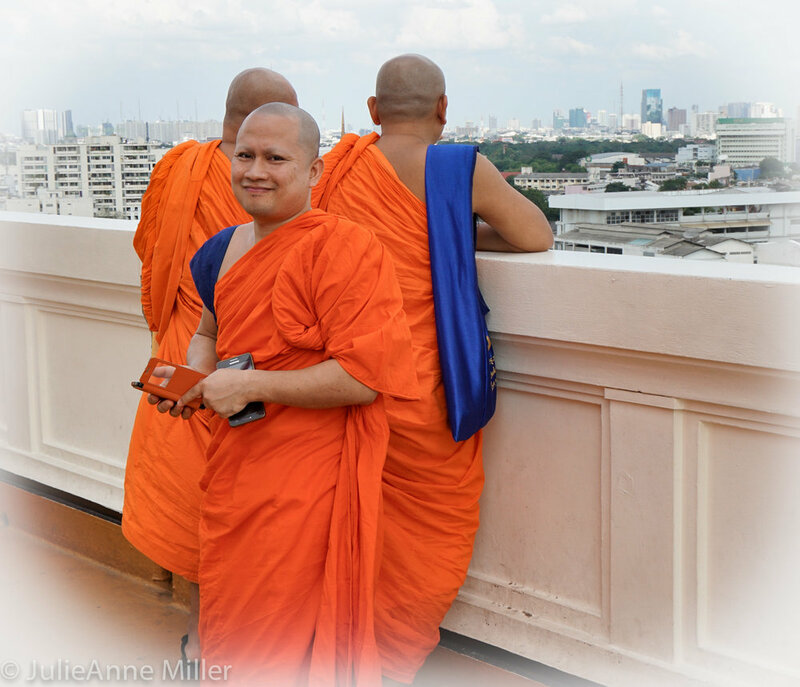 At Wat Saket, we climbed 300 steps up the Golden Mount for a spectacular panoramic view of Bangkok. 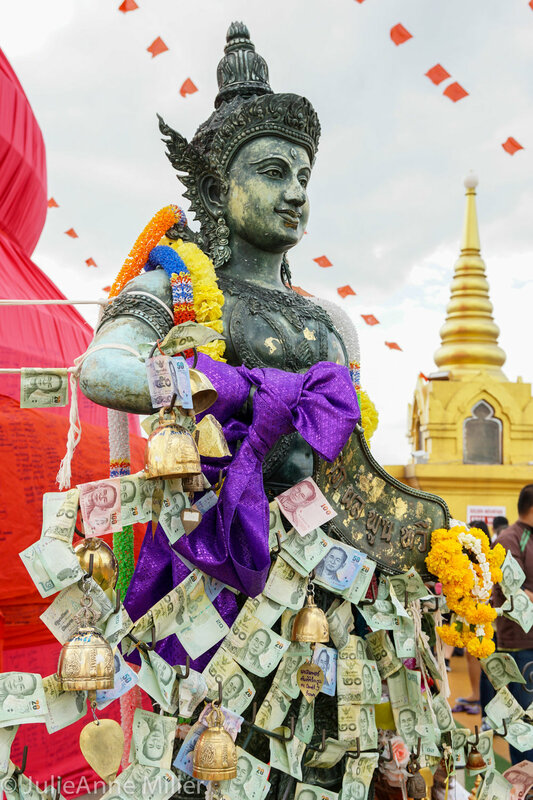 In celebration of Loi Krathong, people were marking their wishes on a giant red cloth, bowing, and ceremonially circumnavigating the golden chedi. Colorful streamers flapped in the wind, and the deep gong of large metal bells resonated up the stairway. At the base of Wat Saket is a strange display of skeletons and vultures. 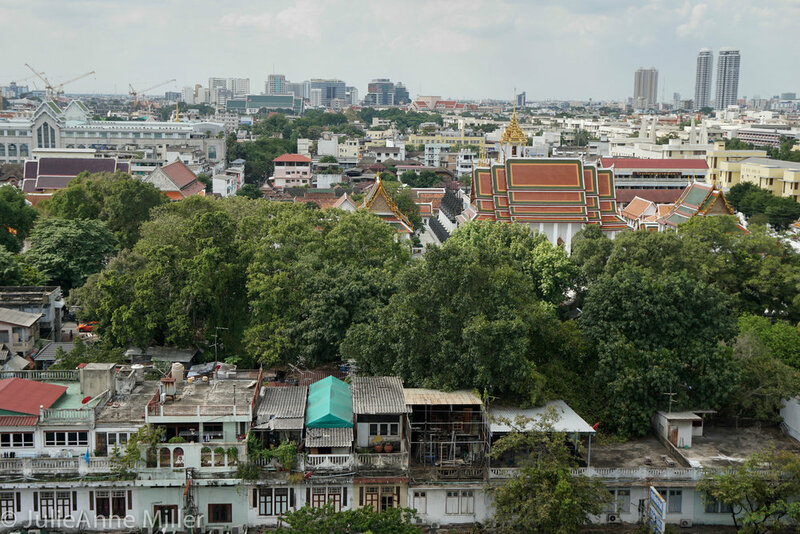 We learned that in the 1700's, a plague struck Bangkok, killing over 60,000 people. Wat Saket served as the city's crematorium for these victims and this memorial marks the site of the burial ground. 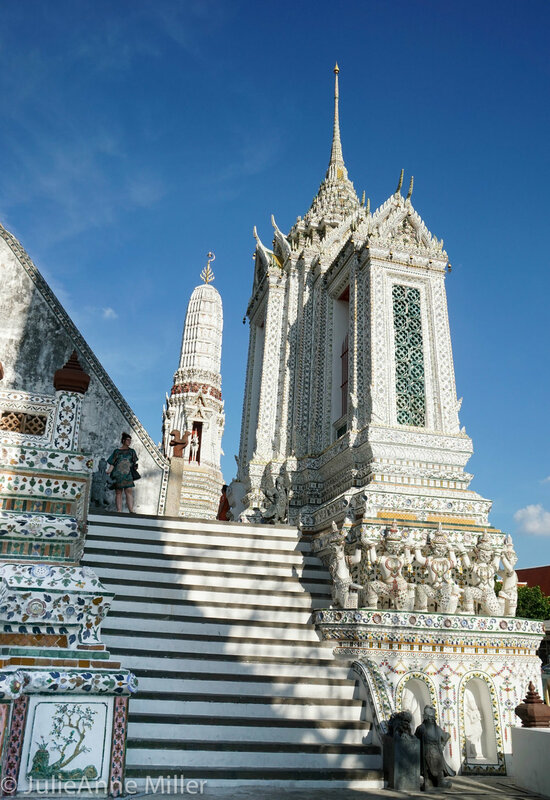 We ventured over to the port area to catch a ferry to Wat Arun. 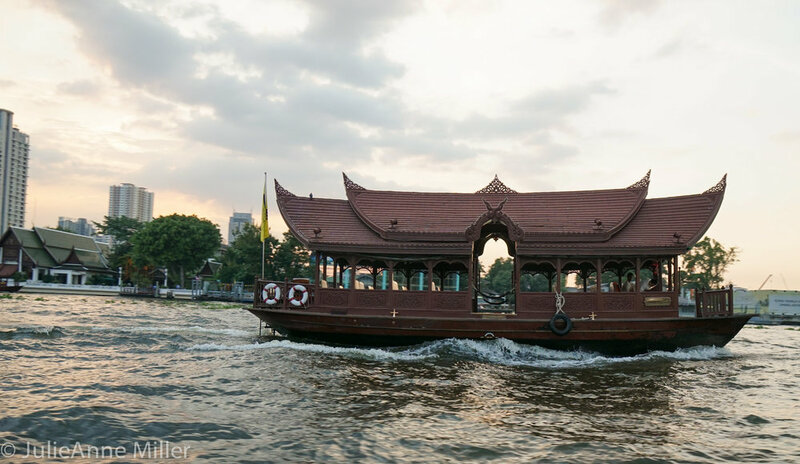 Boats are a major form of transportation in Bangkok. Traffic is so bad in the streets, that it is usually faster to get around by boat. 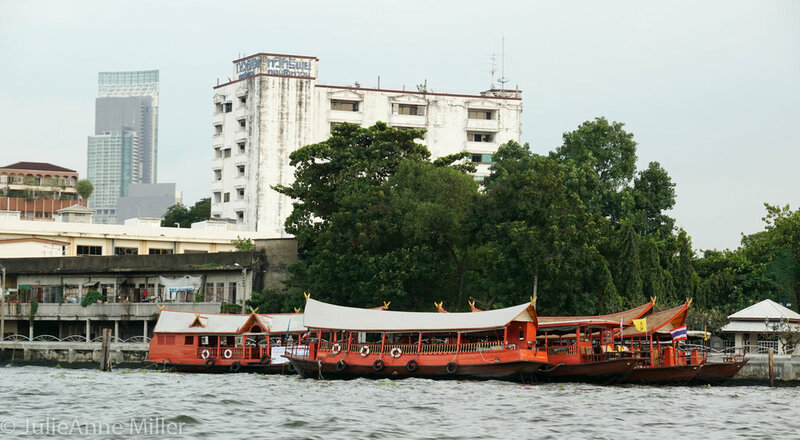 The Chao Phraya river is dirty brown, agitated every which way by boat wakes of all speeds. It's dizzying and thrilling! 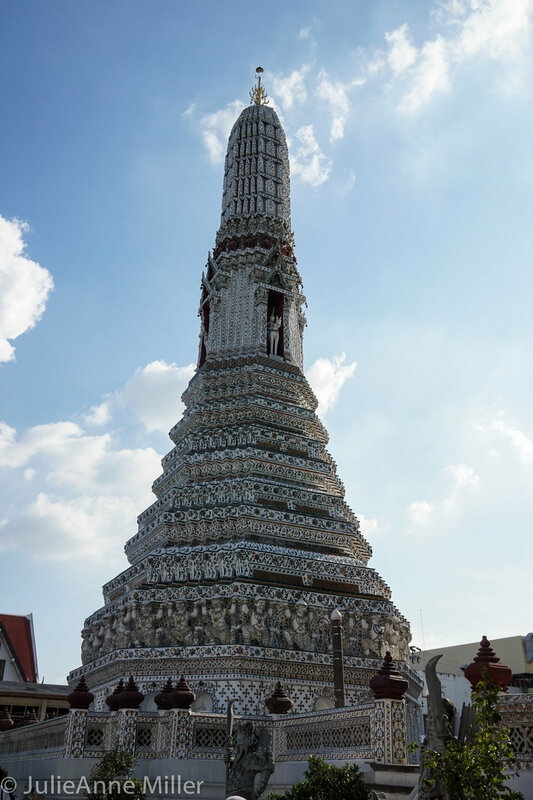 Wat Arun was under reconstruction, so many areas were closed off to the public, but we enjoyed seeing the great variety of krathong available for purchase and we started getting excited for the festivities later that evening.